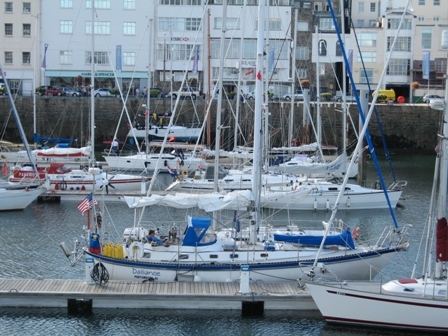 The Victoria Marina in St Peter Port on Guernsey's east coast. 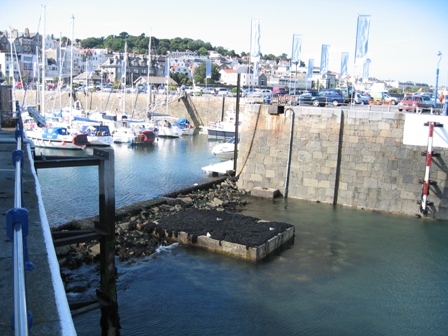 In order to keep the marina from drying out at low tide, there is a sill that is submerged at high tide, and which acts as a dam to keep the water level from falling below two meters at low tide. 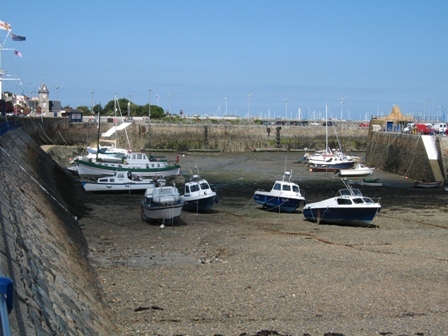 It makes for a formidable obstruction for boats that attempt to cross the sill too close to low tide. We did see one boat make this unfortunate miscalculation. 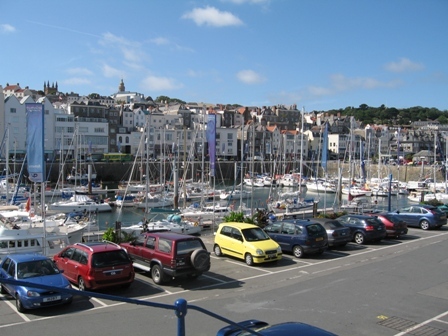 This is a harbor without the benefit of a sill, or lock system. 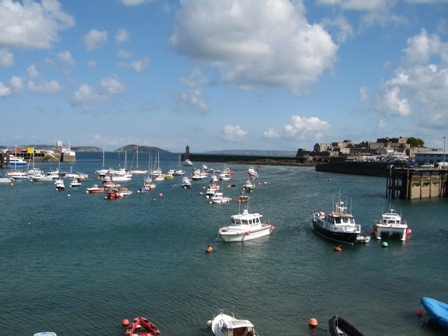 Looking seaward to the outer harbor, with views to Herm Island on the left, and Sark more distant on the right.